As if seeing a console release wasn't enough, THQ Nordic continues to amaze me with its ongoing support of Titan Quest, an action-RPG that is now over 12 years old! The developer/publisher dropped a new update a couple days ago that fixes a number of bugs and adds two play couch co-op to the PlayStation 4 and Xbox One versions. This update will be included in the Nintendo Switch version, too, when it arrives on July 31. It does not appear that this new split-screen mode is getting added to the PC version, so a little bit of a bummer there. However, given how well Diablo 3 fared on the consoles, I'm tempted to pick up Titan Quest on the Switch next month. Despite the fact that it definitely feels dated, it remains one of my favorite action-RPGs to this day because of how you can make some truly "broken" (i.e., overpowered) builds. There's a kind of lost art to allowing players to do that. 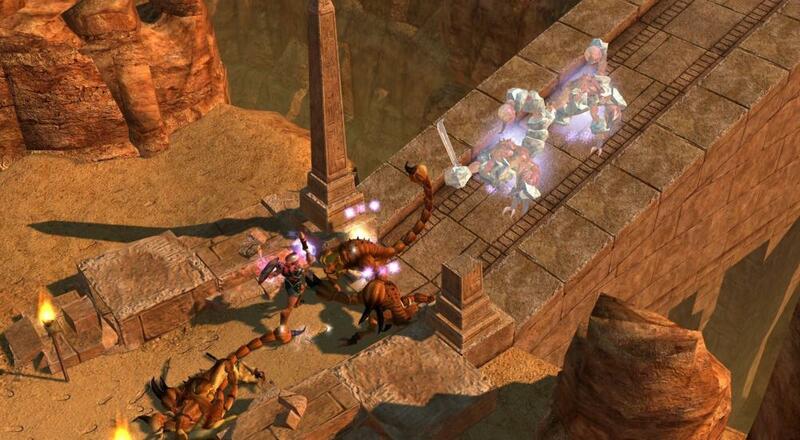 Titan Quest is available on PC, PlayStation 4, and Xbox One. The PC version supports six player online co-op and six player LAN co-op, while the PlayStation 4 and Xbox One versions support six player online co-op and (now) two player couch co-op. The Nintendo Switch version will arrive on July 31 and will also support six player online co-op and two player couch co-op. Page created in 0.8134 seconds.